Watford were knocked off top spot in the Sky Bet Championship as Nottingham Forest came from behind twice to earn a 2-2 draw at Vicarage Road. 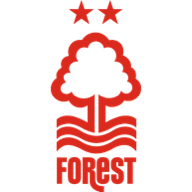 The game was Forest's sixth in the league without victory, but they were arguably the happier with the outcome. The result, combined with Derby's 1-0 win at Blackpool, saw the Rams replace the Hornets at the head of affairs. 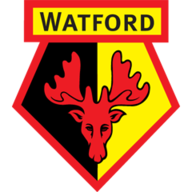 Watford had the better of the attacking play before they took the lead in the 29th minute when an Almen Abdi cross was flicked on by Gianni Munari and Odion Ighalo was alive to the opportunity and reacted quickest to prod the ball past Karl Darlow. The home side's joy was to be short-lived though, as within two minutes Forest were level when a mistake by Abdi let Michail Antonio run at the left side of the penalty area and he left Joel Ekstrand trailing in his wake before prodding the ball past Heurelho Gomes to equalise. But the biggest talking point of the first half was to come three minutes before the interval when Matej Vydra latched on to a pass and darted by Michael Mancienne, only to be tripped by the Forest captain on the edge of the penalty area. It looked to be a clear goalscoring opportunity, but referee Dean Whitestone decided otherwise and Mancienne escaped with a yellow card. Perhaps fuelled by a sense of injustice, Watford finished the first half strongly and maintained their attacking momentum into the second period. Their efforts were rewarded in the 52nd minute when a refereeing decision did go in their favour, not that there could really be any argument about it. A ball forward caused havoc in the Forest defensive ranks and after Fernando Forestieri retrieved it on the left side of the area, he squared towards the near post where Vydra would have had a simple opportunity had he not been barged over by Kelvin Wilson. The referee had no hesitation in pointing to the penalty spot and Vydra confidently did the rest, sending Darlow the wrong way to make it 2-1. Watford were good value for their lead at that stage. Prior to the goals, Darlow had made three goods stops to deny Forestieri twice and Vydra, but the goalkeeper's team-mates were in no mood to lie down. They levelled for a second time in the 67th minute when Chris Burke sent over an excellent teasing cross from the right and Antonio arrived at the far post to thump a header into the roof of the net to score his second. The match was suddenly fascinatingly poised but neither side could build up any sufficient attacking momentum as the game entered its closing stages. Those opportunities that were created fell the Hornets' way as Darlow denied Troy Deeney from close range before proving equal to a Vydra shot from further out.